It has been a while since we had a glorious sunny day and I was almost certain that summer will be a complete write-off. But part of the joy of living in London is that you'll never know what you're going to get. After a gloomy start, the weather decided to make a change for the better and treat us to a hot summer day at last. And just like that, it seems that summer has return. Fingers crossed! The last time we had such wonderful weather, I made myself this delightful salad. 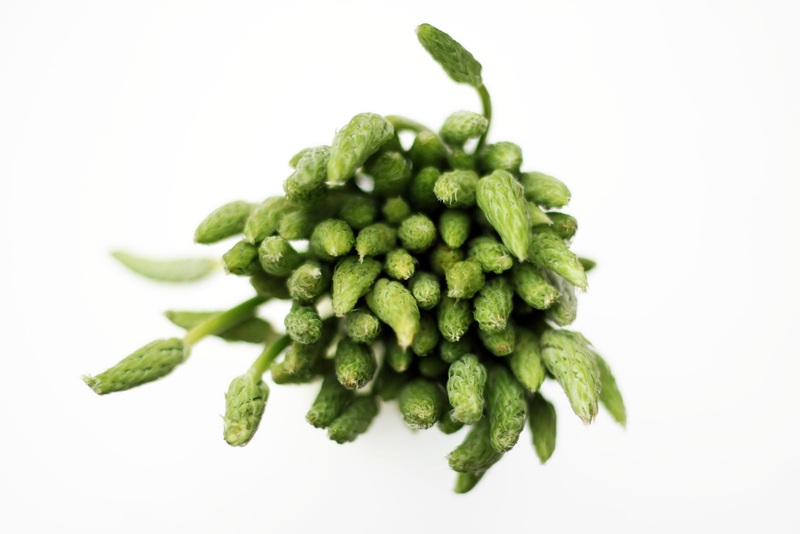 Wild asparagus is not the easiest thing to find here in London. It is normally found in the wild on cliffs and sand dunes and my amateur foraging experience will not take me that far. However, every so often, they are available in farmers market which was where I got these from. They are not cheap but they are definitely worth seeking if you have never tried them before. Taste-wise, they are slightly stronger than the cultivated ones and has a grassy, nutty flavour. The last time I had them was in Paris, lightly sauté in an omelette, absolutely divine! 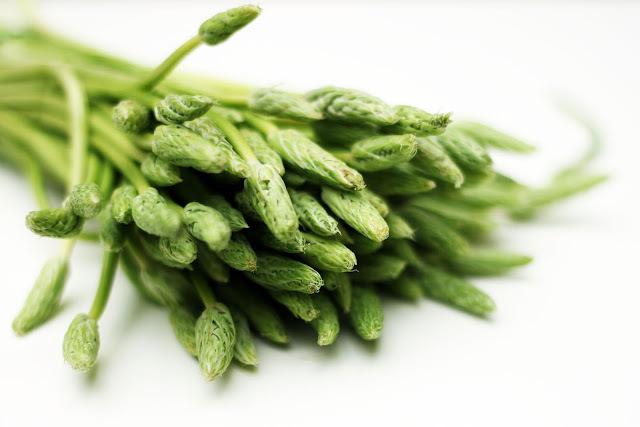 Wild asparagus is best served raw or just very lightly cooked. 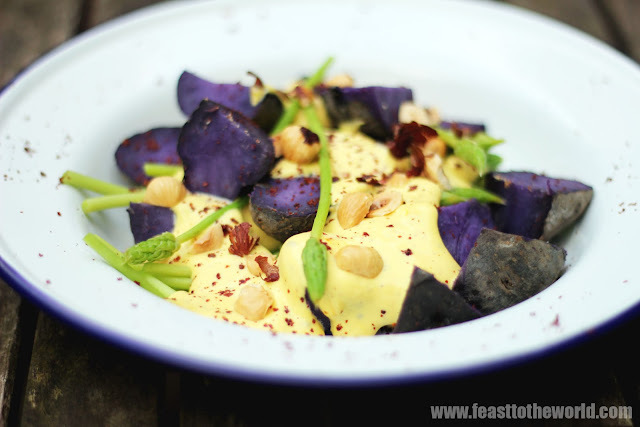 I have decided to steam them and made a simple salad with some purple Vitelotte potatoes and dressed with a saffron-infused yogurt. Throwing in a handful of toasted hazelnuts to give an interesting texture. 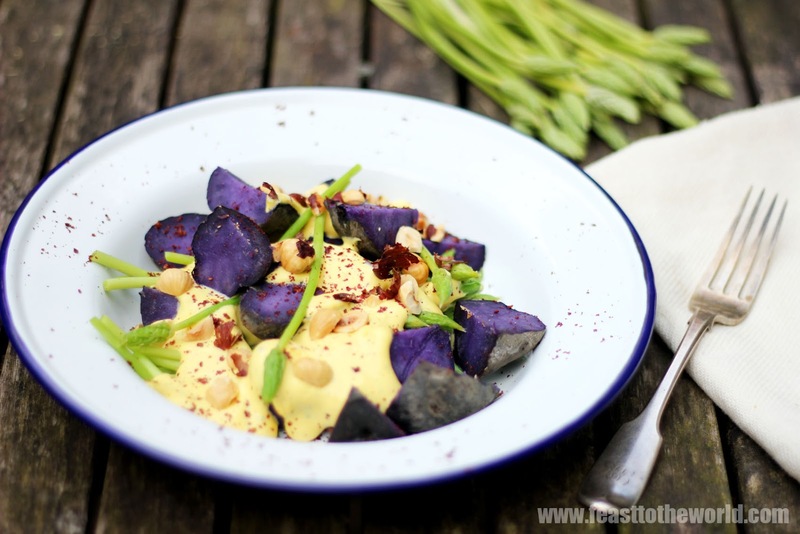 The contrasting colours make this not only a beautiful dish to look at, but also a superb lunch to enjoy sitting in the garden with a glass of chilled white wine. Prepare a steamer and steam the asparagus for 2-3 minutes, until tender and cooked. Tip the asparagus into a bowl of ice water or alternatively, rinse under running cold water to stop any further cooking. Bring a pan of salted water to the boil and boil the potatoes for 20 minutes, until cooked through. Allow to cool before cutting into bite size pieces. In a small bowl, make the dressing by mixing the saffron water, olive oil, yogurt, lemon juice and garlic. Season with salt and pepper to taste. 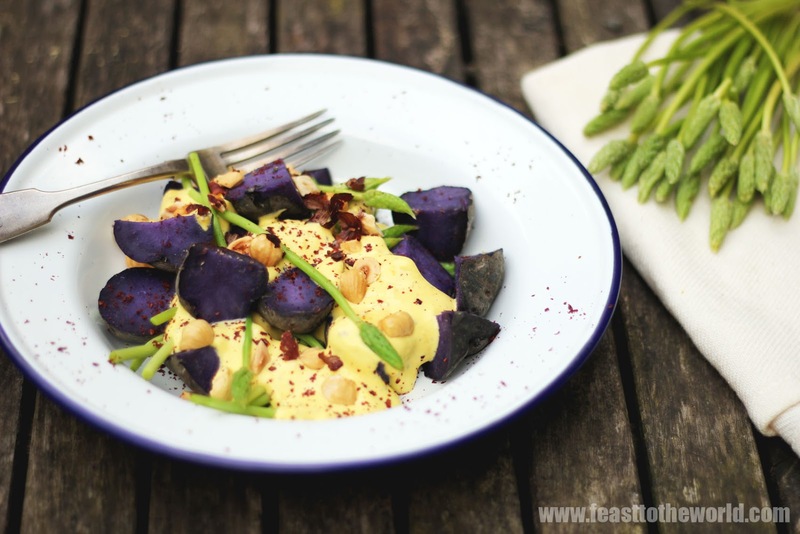 To serve, place the potatoes and asparagus onto a serving plate and drizzle over the saffron yogurt dressing. Scattered over the hazelnut and sprinkle with the sumac.